IPad 2018 (6a generazione) - Anno 2018. iPad Air (fine 2013 inizio 2014). iPad 2017 (5a generazione) - Anno 2017. Smart Cover Frontale. CCleaner Professional. CCleaner is the number-one tool for cleaning your PC. It is developed by Piriform, and is a well-known and widespread software, which has also received various awards. The program is distributed with an interface in many languages, while it continues to be translated into many others. Spotify Premium. Lynda Premium. Account are not stolen/cracked and they are not shared with anyone. 6 Devices Supported ✔. Altri servizi disponibili NO Advertising ✔. Offline Music ✔. 3 months warranty in case of malfunction. I DVD-R DI VERBATIM SONO STATI PROGETTATI PER SODDISFARE LE ESIGENZE DI UTENTI CHE RICHIEDONO UNA CAPACITÀ SUPERIORE. VELOCITÀ: 16X. CAPACITÀ: 4.7GB. COMPATIBILI IN LETTURA CON LETTORI DVD-ROM E DVD VIDEO. USB 3.0 To Connect SATA 22 Pin 2.5" PC Laptop Hard Disk Drive SSD Adapter Cable. · Backward compatible For previous versions of USB ports (1.0, 1.1&2.0) & SATA hard disks (1.5Gb/s). Connector type: USB 3.0 to SATA 22 pin. Druckerpatronen, Tintenpatronen, Druckerpatrone, Tintenpatrone. Canon PIXMA IP7250 Tintenstrahldrucker. 20 XL Patronen USB Anschlusskabel. Canon Pixma IP7250 Schwarz 1x. XL Alternativ Canon Patronen Schwarz PGI-550 Schwarz 4x 25 ml. FIT Air 11" 13"/New 12" /Pro 13" 15"/Pro Retina 13" 15"
Modisch elegant. Tasten aufgrund derAussparungen leicht erreichbar. Tasten aufgrund der Aussparungen erreichbar. Der robuste sehr stylische Case für ihr Galaxy NotePro 12.2 schütz Ihr Handy vor Stößen und verleiht dem auch noch einen außergewöhnlichen Look! Crimping Cutter Tool With Stripper 1 x Crimping Cutter Tool With Stripper. Suited for network cable with RJ45 CAT5, CAT6 & CAT7 Connector and ADSL Cable with RJ11 Connector. RJ45 Multi- Purpose Punch Down Tool . This is not a product ID Key code, installation DVD or CD, it will help you upgrade your 7 or 8 to Windows 10. Update your current Win 7, 8, or 8.1 OS to 10. It's the latest1809 update. SISTEMA OPERATIVO WINDOWS SERVER 2019 STANDARD. Released by Microsoft. 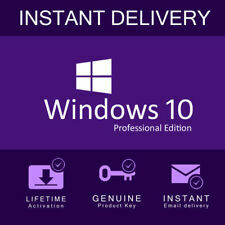 Office 2019 Professional Plus ESD Product Key. and put back on the market under the C.E. C - 128/2011. A software is intended to be used when disposed of by a previous owner. Per qualsiasi informazione non esitate a contattarci. From now on, you no longer need to use the Shift key to change the size of your image to scale. Both 2D and 3D designs are easily created with the array of design tools available. It is also compatible with Mac. Il PREZZO SI RIFERISCE AL TIMBRO COMPLETO, PRONTO ALL'USO. Colore corpo timbro Assortito. Possibilità di inserire il logo GRATIS. Area Personalizzabile mm 56x20. Garantiamo la massima serietà ed affidabilità. 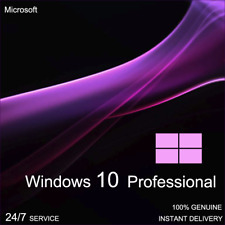 Includes Classic 2019 versions of Word, Excel, PowerPoint and Outlook. 5.62 GB free disk space. 4GB of RAM. Key can not used for download ISO from MS site. Full Version Product Key. Genuine Tempered Glass Screen Protector For Huawei MediaPad T3 10 9.6"
The protector has oleo-phobic coating which prevents fingerprints to stay on your screen. Never Touch the adhesive side of the screen protector as it may affect the quality of the protector or leave markings after installation. Otter New Box Defender Case w/Stand For iPad AIR 2 Model Black - Black New !